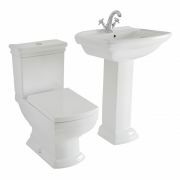 The Carlton traditional close coupled toilet will bring class and elegance to your bathroom. 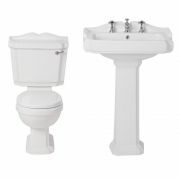 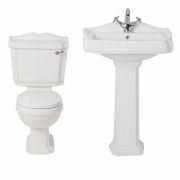 Crafted from premium quality ceramic and finished in a hard-wearing easy to clean white glaze, this toilet features a truly timeless design. 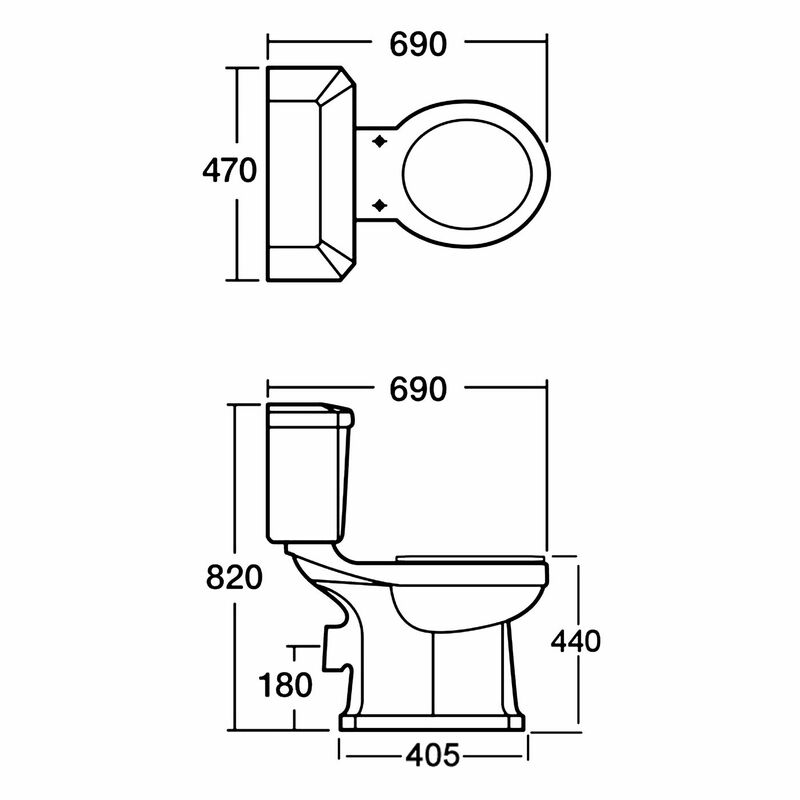 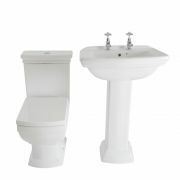 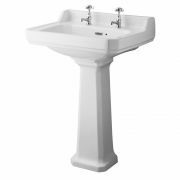 The toilet includes the 6 litre flush cistern and chrome flush handle. 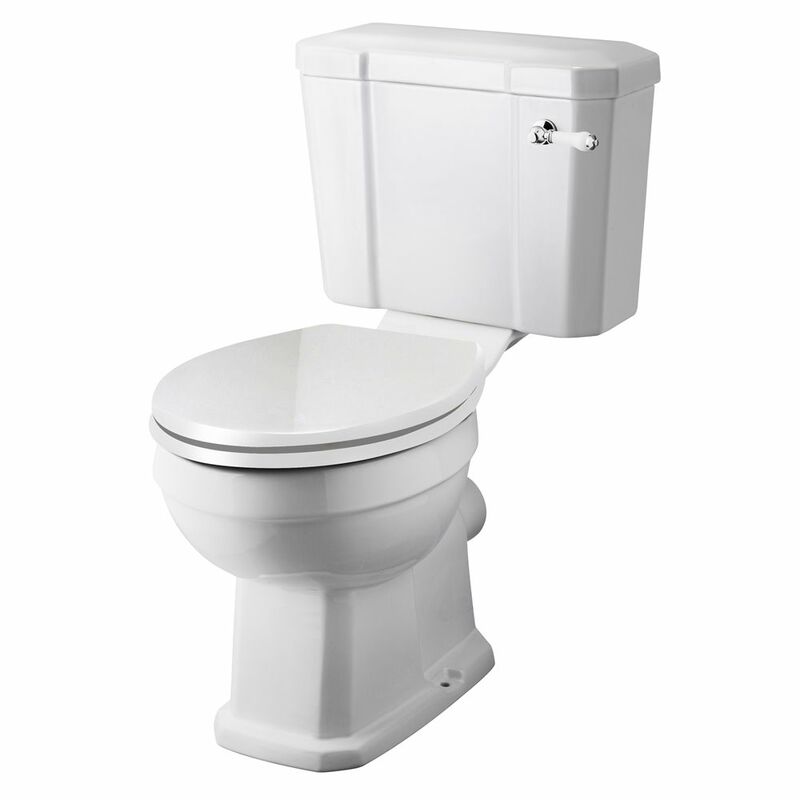 The seat has soft close hinges to minimise noise and to reduce wear and tear. 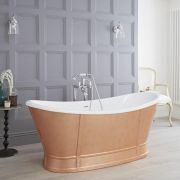 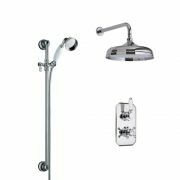 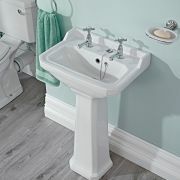 Combine with other items from the Premier Carlton collection for a beautiful traditional bathroom. 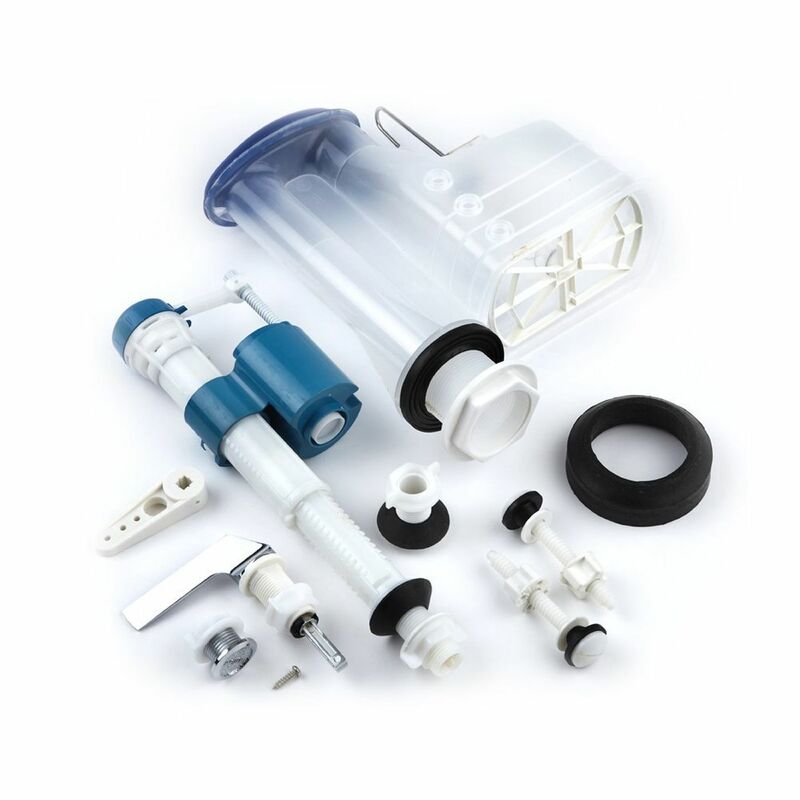 Please note: pan connector and pan fixing kit not supplied - see our recommended essential products above.